Earlier this week, Jess hosted a Facebook Live broadcast in partnership with a cool new dating app, Zepeel. 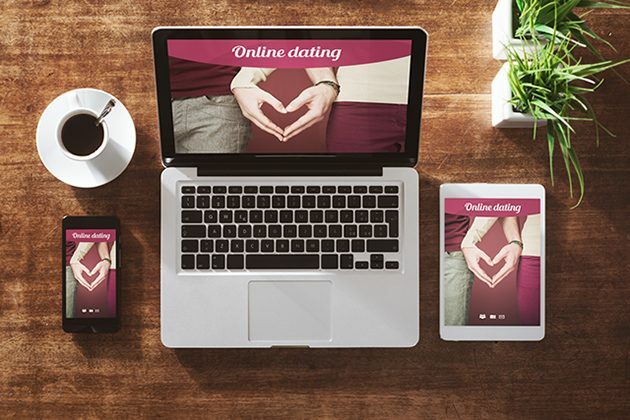 In the video below, she shares fun, practical and effective tips to make online dating more effective. Give it a watch and be sure to leave your top dating tips in the comments here. 1. Creep your “competition”. Although fellow daters aren’t technically your competition, reading through profiles of similar daters (e.g. people of the same gender, age and region) will inspire you to craft a more effective profile. Questions to ask yourself: What do these profiles have in common? Do I want to avoid repetitive content (e.g. cliches)? What makes a profile stand out? How can I differentiate my profile? 3. Ask your friends to write you a short (1-2 line) profile. Read their versions and use them to put together your profile content using your own words. Be sure to watch the video above to find out what Nicole’s friends had to say about her. (Nicole is a twenty-something dater and aspiring sexologist! You can follow her here – @NicoleVKuntz. 4. Use video in your online profile! Dating app, Zepeel, is making online dating more genuine, engaging and time-efficient through video. Stop wasting your time with fake profiles and dishonest descriptions; click “play” to learn more about a potential date’s energy, voice, attitude and personality. Videos get more traction. Period. Ads with videos get more clicks. Email campaigns with “video” in the subject line receive more click-throughs and engagement spikes when brands use videos to deliver content. Your online dating profile is much like a brand, so check out Zepeel’s video capacities to make your online dating experience more time-efficient, engagement and REAL. When creating a video for your Zepeel profile, just be yourself. Use Snapchat or Instastories to record (add a filter if you’d like) and then upload to the app. It’s that simple. Check out Ryan’s video profile here. -Check your date’s feet. Are they pointed directly at you even when you’re not face-to-face. This might be a sign of interest. -Do they mirror your body language? This may be a sign of approval and connection. -Do they lean in or away from you as you speak? Forward movement conveys genuine interest and attraction. -When they smile do their eyes smile too? Does the skin around the eyes crinkle? If so, it’s more likely a genuine smile. Specific. My last adventure involved a night out at a knife throwing range. I wasn’t a pro, but I had a blast. 7. Let go of the soulmate myth. There is no such thing. You can live (almost) happily ever after with more than one of the other 7 billion people on this earth. Belief in fate is positively correlated with lower relationship satisfaction; belief in the need to work/grow is key to a happy relationship.